What are your thoughts on JJ Abrams helming Episode 7? 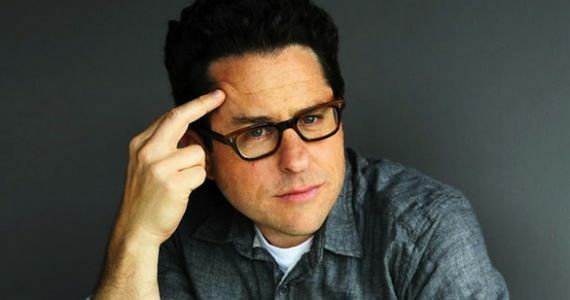 Joshua: Abrams has brought us some great cinematic experiences in Lost, Cloverfield, and the rebooted Star Trek, so I love the idea of getting a tense, action packed, and mysterious Star Wars made by a smart dude with glasses. What he did for Star Trek was a godsend for the franchise, which was cutting out a lot of the slower paced stuff and then super-energizing everything else. While some of the nuances of Star Trek were lost in the transition — some might say a few too many — the end product was a success that could be enjoyed by fans new and old. Although, some of the best moments from the original Star Wars trilogy were quiet ones that let an idea float in the air, accompanied by nothing more than that beautiful John Williams score, like during Luke’s training sequences with Yoda. I hope Abrams has the restraint to rekindle some of that magic instead of delivering one light saber battle after another. The scariest thing to me about choosing Abrams is that his singular vision will have shaped a massive chunk of modern-day sci-fi cinema. Competition breeds ingenuity and creativity. Marvel vs DC. Disney World vs Universal Studios. Playstation vs Xbox. They’re all better because they have to fight to be on top. Star Wars vs Star Trek is the mother of all nerd arguments. Who will Abrams be competing with other than himself? Cal: In my eyes JJ Abrams has always been a solid but shrug-worthy director. Technically proficient yet visibly bland in his approach, Abrams made a signature out of the lens flair but never separated himself from the likes of John McTiernan or Tony Scott. His Spielbergian nostalgia trip Super 8 was entertaining but didn’t know how to wrap itself up. MI:3, while it was a decent entry to the series, garnered far too many eye rolls and was dwarfed by Brad Bird’s far superior MI: Ghost Protocol. My initial reaction to the announcement was a cringe because of his involvement in another Science Fiction series that you may have heard of. I felt that his vision might be blurred if he was helming two iconic series and while I enjoyed his take on Star Trek, I wasn’t wowed. After taking time to let the news settle in, I came to the conclusion that he will be perfectly suitable for the job. While I was really lobbying for Brad Bird I can take comfort in the fact that JJ hasn’t given us any reason to think that he will destroy the franchise. The movie lover in me wants a director that will transcend the Sci-Fi genre and show that it isn’t just the fluff, turn off your brain movies that we see in modern cinema. To take us back to a time when Tarkovsky’s Solaris, Kubrick’s 2001 and Fassbinder’s World On A Wire combined great stories with stunning visuals. I understand that Star Wars is a space adventure at heart but to combine some of the headier elements could bridge the gap between art house and Sci-Fi. 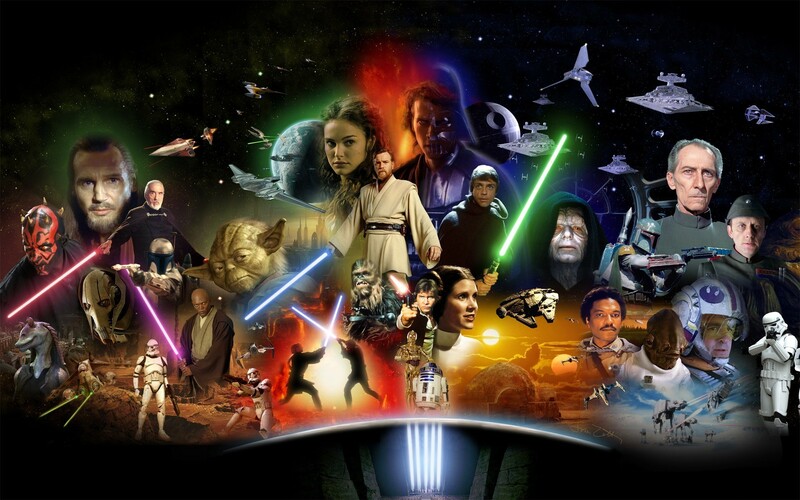 What direction do you want to see the new Star Wars movies take? Joshua: I would love to see them get personal and get spiritual. Really make the movies about the characters on a journey again. With the prequels, it was a big show of power changing hands that led to an ending everyone already knew was coming. The fact that the new trilogy will be open ended without everyone waiting for Anakin to fall in some lava and pop out as Darth Vader should be used to its advantage. The Force was explored perfectly in the original trilogy, so we don’t need to revisit it in that way, but it would be great to see what it means to people who aren’t Force users. The Force started out as more of a religion than a way to choke people out from across the room, so let’s get back to that and see what has become of it since the fall of the Empire and where it will take the new cast of characters. And who better to have a journey with the force as an ally than a new protagonist? More than anything, I want to see a female protagonist. I know that Star Wars is an ensemble cast type deal, but we need a new figurehead like Luke was in the original trilogy. Make it a girl and make her brilliant. Cal: I want them to avoid the urge to extend the story from the current 6 movies. In the prequels George tore apart all that was built in the original trilogy (which would have worked just fine on its own) and the expanded universe of comics, video games and books have been trying to rebuild it ever since. Frankly they could go without ever extending the story lines of any of the characters and it would suit me just fine. Delving deeper into the gritty side of Mos Eisley, or showing us the early days of the Rebel Alliance without getting bogged down with the Jedi mythos could be a great direction for the series. The Force was a neat addition to an enthralling story but such a small fragment of the vast world of Star Wars. 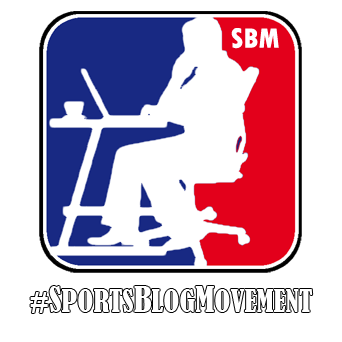 With so many unwritten stories to be told and a blank slate it is a little disappointing to see that they are going back to the well so quickly. What potential pitfalls should the new Star Wars movies avoid? Joshua: First, use the old cast sparingly. Make Episode 7 about launching a new (female) lead into an epic space saga instead of rehashing old nostalgic feelings with old faces. Abrams was great about this with Spock in the rebooted Star Trek, so lets hope he uses the same mindset here. 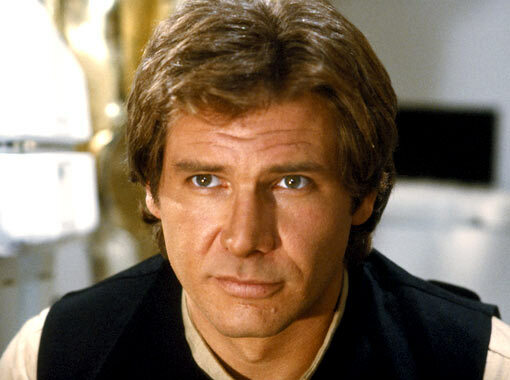 In fact, give Harrison Ford the Han Solo death scene he’s always wanted since Return of the Jedi. He wants it, we want it, so let him go out in a blaze of glory so we don’t have to see him do anymore embarrassing Elderly Indiana Jones stunts. Also, less lightsabers! I love lightsabers to death. I really do. I love Darth Maul more than is healthy. But they were used to such a degree in the prequels that they became a gimmick. They were pointless. Everyone had one and they whipped them out for no reason. I’m looking at you, awkward elevator scene in Revenge of the Sith. Dial those back and show us more about the men and women behind the weapon, and then, when it will truly make an impact, you have permission to whip that bad boy out and fulfill the arm-chopping quota of each movie. Finally, don’t make cartoon rabbits thinking children will like them. Instead, make cool characters that kids want to BE. No one wanted to be Jar Jar. Everyone wants to be Darth Maul and Boba Fett. Cal: Feeling the need to cram in every character from the original trilogy, much like they did with C-3PO, R2D2 and Boba Fett….to name a few. Every time a character from the original trilogy made a cameo or appearance in the prequel, it felt like we were being sold another toy. I was half expecting to see Lando’s dad or Han Solo’s parents to be skipping across the screen just so that little Bobby could have his very own action figures. They cannot let George Lucas anywhere near the set. He is poison to everything that is modern Star Wars and will be the curse to JJ Abrams if he is even on the movie lot. What will start as just an offhanded comment will turn into Abrams injecting a mild-mannered IG-88 into the movie as a window washing droid. I really hope that the consultant title that was bestowed upon Mr. Lucas is purely for show because he will add nothing but awful. What character(s) would you most like to see in the new Star Wars movies? Joshua: I know I just said to use the original cast sparingly, but I can’t wait to see Mark Hamill on screen as Luke again. He has so much nerd cred after voicing the Joker all these years that it’s about time he got put back on the big screen again. Give him his moment to shine and then hand the reins over to the new cast. 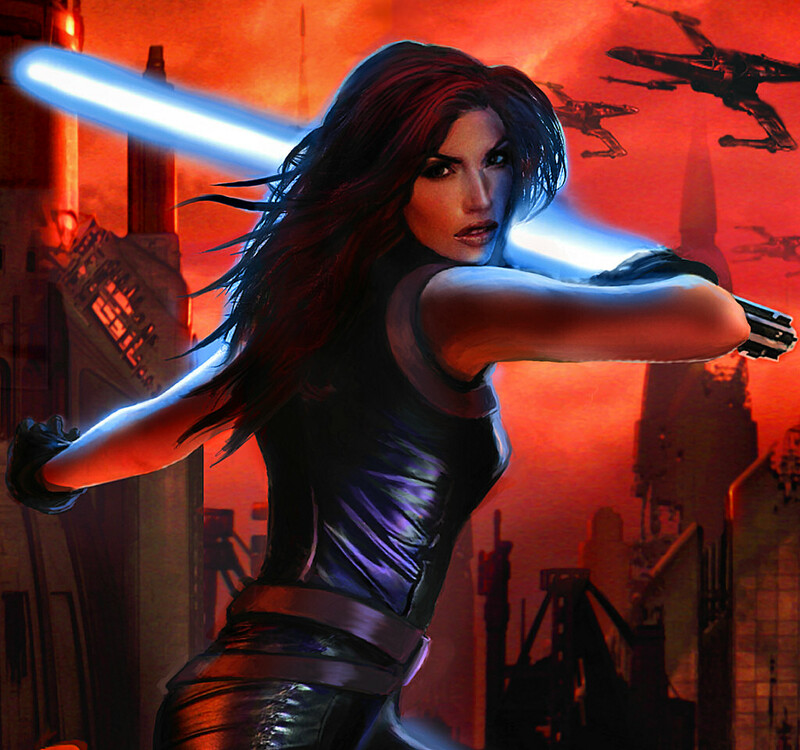 I know everyone is all about the Expanded Universe characters like Jacen Solo, Mara Jade, and Thrawn, but I say throw those out the window and start from scratch. There’s no reason to be beholden to stories someone else wrote years ago. Fans of those stories would pull their hair out for everything that got changed or left out, ending in a complete nerd clustercuss. Forget all that and give us something new and exciting that no one has seen before. So to answer the question, the characters I want to see in the film are ones that haven’t been created yet. Cal: The obvious answer would have to be the dianogah. I mean come on, who doesn’t want to learn about the sordid past of a trash compactor monster? Darth Bane is the one I would like to see the most. He existed during a time when they still had Sith Academies, aka before one masters/one apprentice. His story line traverses a myriad of different, but equally interesting locales including his youth on a mining planet, his time with the Gloom Warriors and his creation of the rule of two. I understand that this is contrary to my idea of moving on from the Force story lines but we all know that it was just a pipe dream.There is so much potential to create and expand upon the Star Wars story and ultimately I think that they stand the best chance of success by creating a whole new batch of locales and faces so that they can avoid angering fans or dumping on everything that has been written about, shown or otherwise alluded to in the massive library that is the Star Wars Universe. What do you think of the Boba Fett and Han Solo solo movies? And who else would you like to see star in their own feature? Joshua: These solo movies sound like more of a cash-grab than anything. We don’t need to see Han Solo back in the day before he was cool, and we don’t need to see Boba Fett getting his License to Kill. I understand Disney’s desire to make Star Wars into a franchise similar to Marvel’s Avengers, but these solo movies will only succeed in making the characters less interesting. I need only look to all of the Pirates of the Caribbean sequels to prove why a supporting character, even if it’s Johnny Depp as Jack Sparrow, should not be made into the protagonist. When I think of Star Wars, I think of a universe filled with Jedi, Sith, smugglers, starfighter pilots, bounty hunters, strange aliens, and the like. Why would you isolate just one of those things and give it its own movie? Cal: Well before the announcement of the first stand alone movies, I hated the idea of Boba Fett as anything other than a bounty hunter that died in the Great Pit of Carkoon. He screamed like a weenie and was launched into the side of Jabba’s sail barge before falling into the mouth of the Sarlacc (which belched when it inhaled him). Treated like the “extra” that he was, this was a fitting end to the bounty hunters life and needed no additional story. Why do we need to know anything else about Boba Fett? From the looks of it on the deck of the Star Destroyer in Empire Strikes Back, bounty hunters were recruited by the plenty. Why not just give a movie to Zuckuss or 4-Lom? 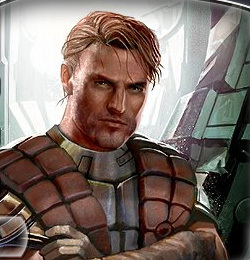 Dash Rendar is one of the first names that comes to mind. But because of complications with the age of the original trilogy characters, we would have to see his life and story before the events of Shadows of The Empire. Considering his families history with Prince Xizor as well as Emperor Palpatine, there is a great back story that could be told.